Chelsea Manager, Antonio Conte tasted first defeat in charge Blues in the Premier League this season after losing 2-1 to rival Liverpool FC at Stamford Bridge on Friday. 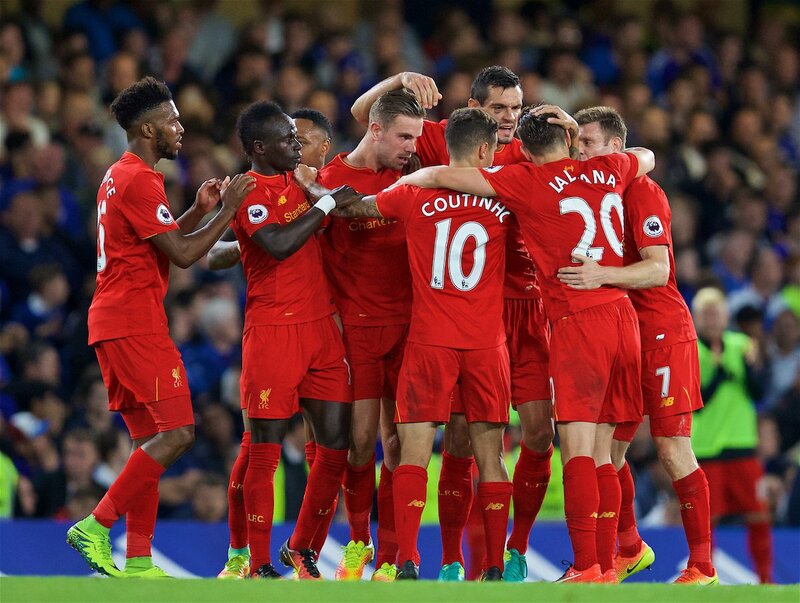 The Reds scored two early goals through Dejan Lovren and Jordan Henderson in the 17th and 36th minutes respectively. Antonio Conte’s side reacted well in the second half having trailed 2-0 at half-time, but although Diego Costa reduced the deficit with half an hour left to play we were unableto kick on and salvage anything from the game. There was just one change to the team which started at Swansea last Sunday, with David Luizcoming in for the injured John Terry to make his first appearance since re-joining the club at theend of last month. Branislav Ivanovic captained the side in Terry’s absence. Ahead of kick-off a new flag, which celebrates 50 years of the Shed, was unfurled in the upper tier of the stand. It was a frenetic start to the contest withboth teams looking to get on the front foot when inpossession and after a Chelsea counter attack hadbroken down with Willian being dispossessed on the edge of the Liverpool penalty area, Thibaut Courtois had to be alert to save from Sturridge. Liverpool were seeing more of the ball during the early part of the game with the Blues content to defend in large numbers and wait for an opportunity to exploit the spaces. However, it was the visitors who took the lead after just 16 minuteswhen a Philippe Coutinho cross caught us out. Three Liverpool players were waiting unmarked at the back post and while Sturridge appeared to be offside, Dejan Lovren met the delivery on the volley, sending his strike bouncing into the ground and beyond Courtois. Liverpool, though, remained a real threat going forward, unaffected by the change to personnel which saw Divock Origi replace Sturridge as the focal point of their attack. Courtois was forced intoa save to deny Coutinho, and followed it up with a better one moments later, scrambling down to push Origi’s point-blank header away to safety. With the clock ticking down Conte made a triple substitution with three attack-minded players coming on – Cesc Fabregas, Victor Moses and Pedro replacing Matic, Willian and Oscar respectively. Moses and Pedro took up positions on each flank, with Hazard moving inside to play off Diego Costa for the closing stages. The Belgian was tripped on the edge of the box by Lucas as he got to a loose ball first, presenting us with a free-kick in a dangerous position. Fabregas stepped forward, but his effort cannoned against the wall and Liverpool were able to clear. It was to be our last opportunity of the game and despite a spirited second-half display the points went the visitors’ way.